CAMP HILL, Pa. — Four finalists have been selected for the 2018 Pennsylvania Leopold Conservation Award. Given in honor of renowned conservationist Aldo Leopold, the award recognizes farmers, ranchers and foresters who inspire others with their dedication to land, water and wildlife habitat management on private, working land. In Pennsylvania, the $10,000 award is presented annually by Sand County Foundation, Pennsylvania Farm Bureau and Heinz Endowments. Glen Cauffman of Millerstown. Cauffman grows corn, soybeans and alfalfa hay on a 190-acre farm in Perry County with diverse topography and soils. A herd of 300 Angora goats produce luxury yarn for the fashion industry. No-till practices have been utilized since 1984 to prevent erosion, enhance water infiltration and improve soil health. Cover crops and crop rotation provide ecosystem diversity. Wetlands were created to provide wildlife and bird habitat. Cauffman previously served as manager of Penn State University’s farm operation facilities. Frosty Springs Farm of Waynesburg. James Cowell of Greene County uses a rotational grazing system for his herd of beef cattle. He built covered feeding and manure storage areas to reduce rain runoff. Woodlots and streambanks were fenced off from pastures. Such efforts earned him the Pennsylvania Cattlemen’s Association’s Environmental Stewardship Award in 2008. Richard and Dohl DiFebo of Bangor. Harvest Home Farms raises grass-fed beef cattle. The locally-processed meat is marketed in local health food stores and delivered to New York City. 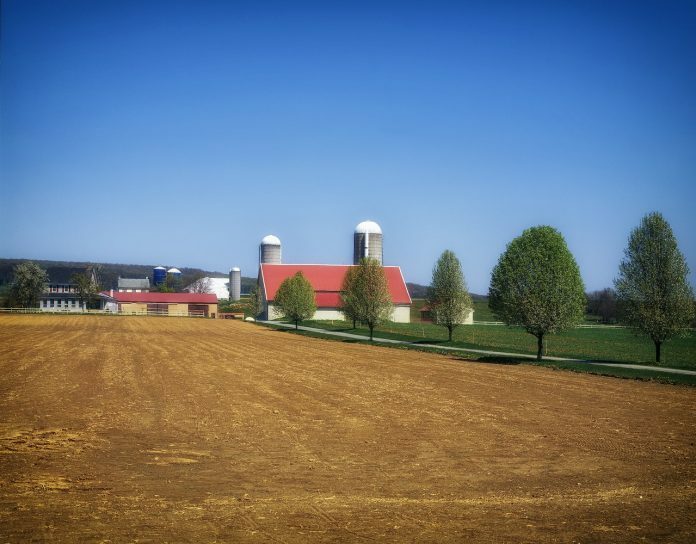 The father and son converted highly erodible row cropland to grass pastures, installed contour strips, raise cover crops, use no-till seeding practices, and fenced off streams and ponds on their Northampton County farm. These changes have benefitted the soil health, water quality and provide wildlife habitat. Donald and Donna Feusner of Athens. The Feusners have followed a nutrient management plan on their beef cattle farm in Bradford County since the 1980s. Conservation practices of contour strip cropping, planting winter cover crops, strategic crop rotation and diversion ditches have preserved topsoil, maximized soil fertility and reduced runoff. In partnerships with the Bradford County Conservation District, the Feusners planted trees on and fenced off their land along Cullard Creek.